Together with the lifting device, allows to inspect cams profile. 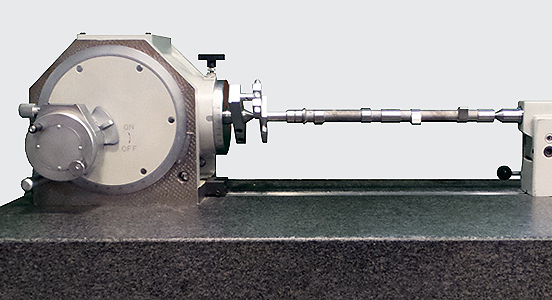 The dividing head can be rotated up to 90°. With a resolution of 1 sec. it offers top accuracy level. The digital dividing head, together with the lifting device, allows to inspect the cam profile. Software for automatic data evaluation is available. Top accuracy angle measurement with a resolution of 0.1 second. The diving head can be equipped with a 150 mm face plate.